We have horse riding everyday Monday to Sunday in Clonshire and offer a minimum 20 hours riding per week!! 9.00am Catch the ponies, groom, and then a riding lesson, which is a mixture of dressage and showjumping. 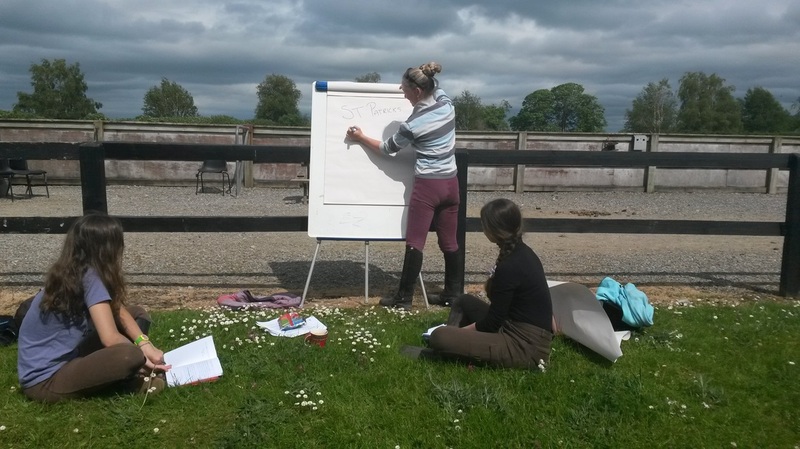 2.15pm Return to the stables for more riding, hacking through thecountry side, and pony games. Games and other fun is organised after dinner, and we also organise trips to the local village of Adare at least one afternoon per week. On the last day we have a competition and assessment for our riders. You can download our brochure and contact us if you need any further information.